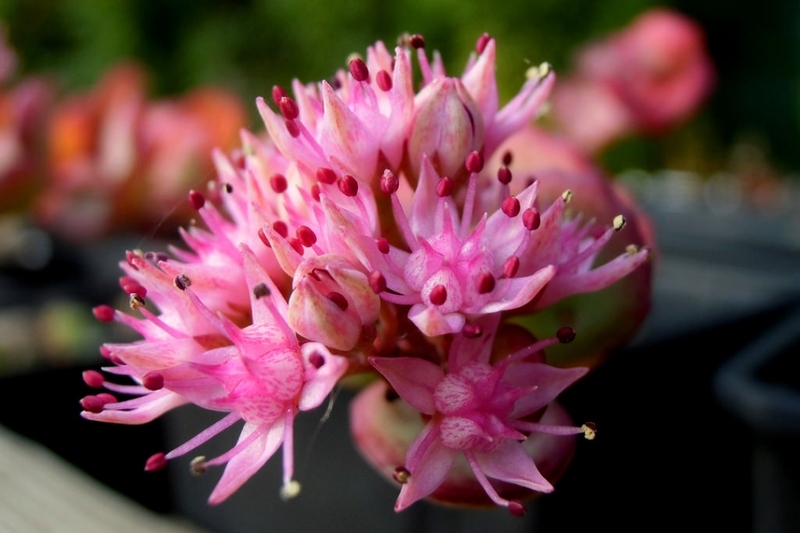 Showy stonecrop (Hylotelephium spectabile): growing, planting, caring. 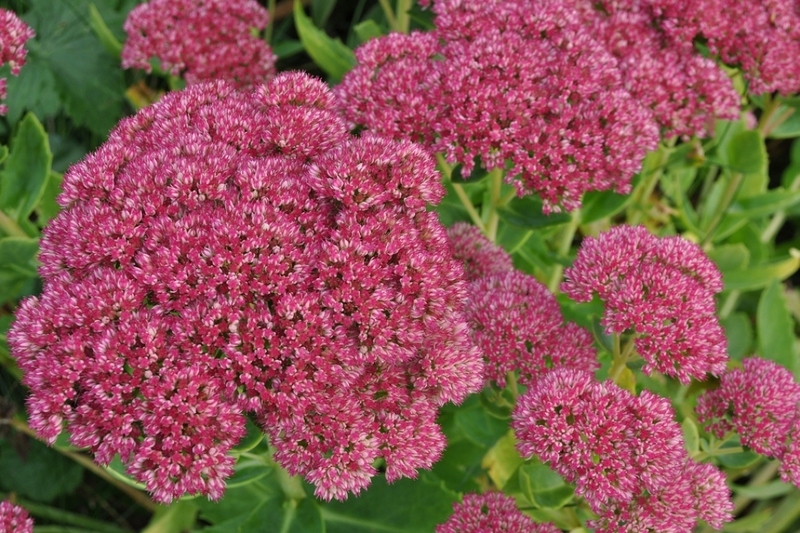 A showy garden succulent, with star-shaped pink flowers. 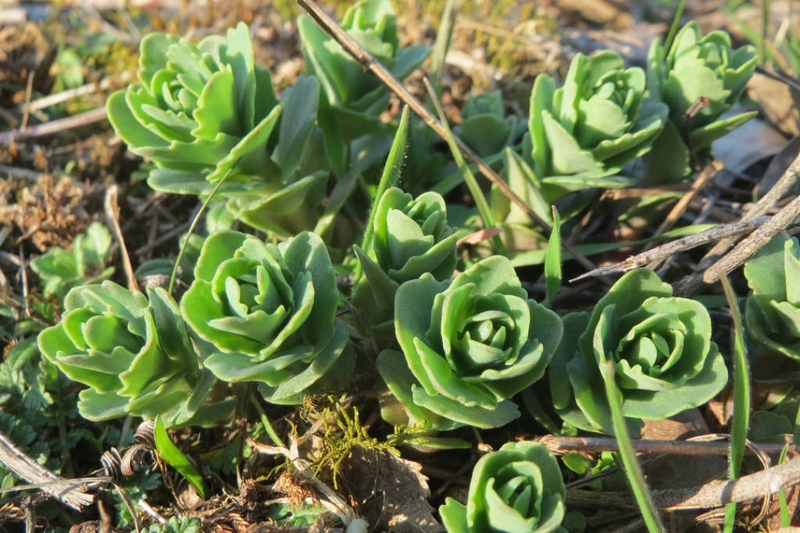 Full description for Hylotelephium spectabile not yet available. 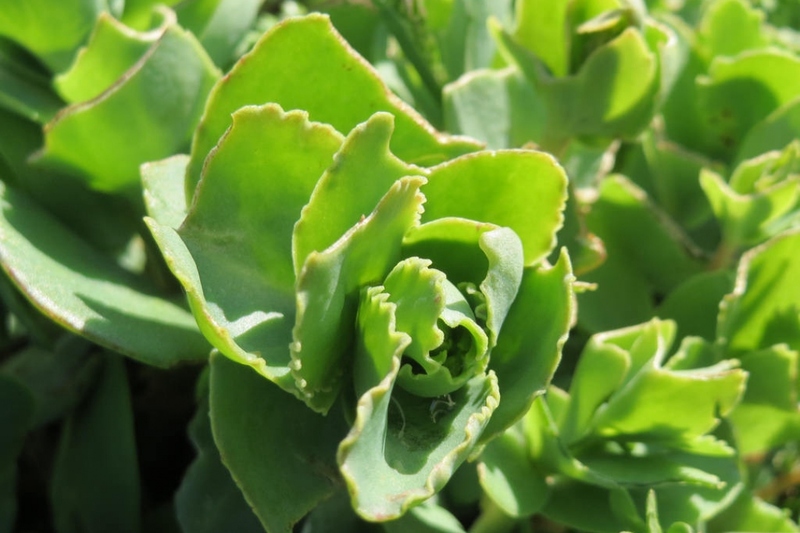 It is a hardy perennial with succulent, toothed, rounded, alternate leaves, on upright cylindrical herbaceous stems up to 45 cm. 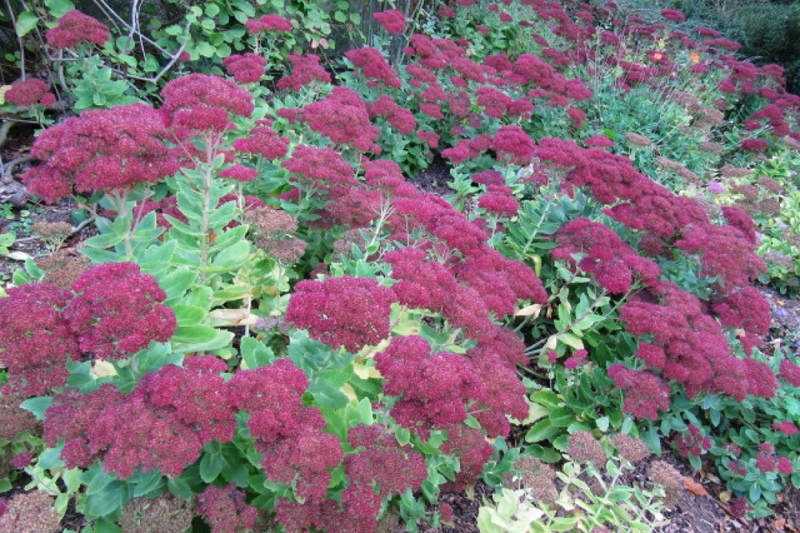 It is covered with star-shaped pink flowers arranged in flat corymbs, from late summer to autumn. In open soil, plant in a drained soil, moderately sandy to clayey, rich, neutral to slightly alkaline, in full sun or partial shade. In pots, mix garden soil with gravel and sand, and some ripe compost. Choose a container of more than 4 liters. For perennial species, weeding also means working your flowerbed – don't let anything develop too quickly to the detriment of others. Water during the summer period but without excess, once or twice a week if it is very dry, rather in the morning and spare the leaves from getting wet. In pots, water once a week during growth, and reduce to once every 20 days in winter. Mulch the base of Hylotelephium, it will spare you some watering and weeding in summer. After flowering, cut the dry blooms to keep the plant compact.